Many people are familiar with the famous “Oktoberfest” in Munchen. But Germany has many other festivals which are closely connected to the delicious yellow substance we love so much: Beer. This weekend, from the 3rd till the 5th of August, the International Beerfestival will be celebrated in the heart of Berlin. The idea behind the International Beerfestival is quite simple: You take a long street and allow many different beerbreweries to offer their beers over there. Then you arrange some nice music, some nice food and you’ve got yourself a concept for a splendid weekend. Something does not necessarily have to be complicated to be fun. Offcourse Berlin, as the capital of Germany, has to add something special. Therefore, during the Beerfestival there will be an attempt to break the worldrecord for the longest beertable in the world. It is planned to have a beertable with a total length of 1820 meter present. One question pops up in my mind: Who is going to get the first round? The location which has been chosen is literally in the middle of Berlin. The Karl Marx Allee is at walking-distance of Alexanderplatz so really easy to reach. On the Beerfestival there will be 300 different breweries and beer from over 85 different countries all over the world. On this page you are able to check out which beers will be present. Another impressive number is the amount of beers which can be in your reach this weekend. 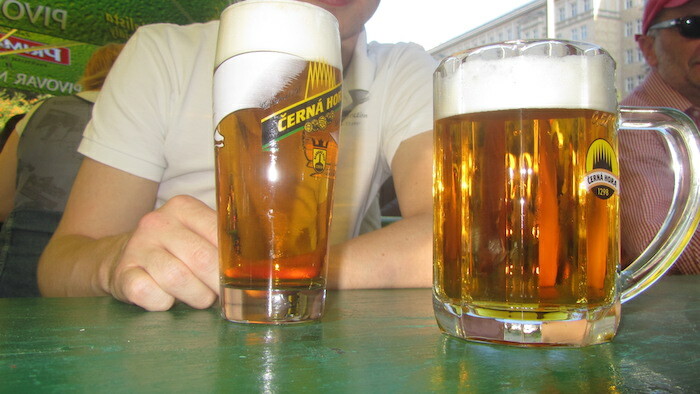 In total there will be 2000 different beers on the Beerfestival 2012. Unfortunately it might not be possible to taste all of them but we are most defenitly going to give it a try. The Karl Marx Allee wil be divided in 22 different regions and every region will have his own specific beers. The theme of the Beerfestival 2012 is: Biere der Ostseeregion. After some delicious beers you have to get rid of these extra calories. What is the best way to do this: Dance! There will be 18 different stages at the Beerfestival of this year. Many different music-styles and artists from all over the world.